When we consider how to learn English online there is one lesson we can take above all others. That is to enjoy ourselves. And what can be more fun than talking about love? In English we have a made-up word that is really appropriate for this article. 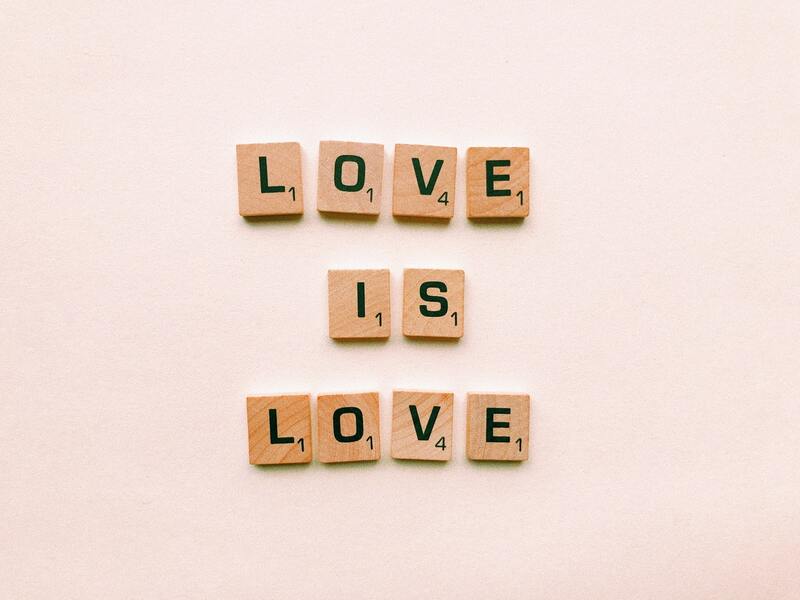 We call it lurve, and this word means ‘love’ but said in a mushy, overly romantic way. Often, the word is accompanied by a cheesy (funnily fake) smile and a raising of the eyebrows. In fact, love inspires many idioms; funny idioms, romantic idioms, soppy idioms; all love idioms. Here are some examples, with their meaning and when to use them. To become obsessed by. To think about all the time: ‘I’ve been smitten with you since I first saw you on the bus.’ It is a phrase often said early in a relationship, especially when the couple have known each other for a while but have only just had their first date. In other words, to be so in love that breathing is impossible. This phrase can only be used when having a close romantic smooch (a close dance, with lots of physical contact) to ‘Take My Breath Away’ by Berlin. At any other time, saying it is illegal. Picture the scene: music plays, arms wrap around each other; ‘You take my breath away,’ is breathed romantically into an ear. Actually, it’s not illegal to say it at other times. The phrase is perfect for when somebody dresses up to go out, or on one of those intimate moments, such as waking up together in the morning. While these can be said by one person to another, they are normally used by a third person when describing the love of others. A relationship that is certain to succeed. It is often used by newspapers when two celebrities fall in love or announce their engagement: ‘Harry and Meghan are a match made in heaven.’ Beware, this phrase can also be used sarcastically, when the break-up of a couple has seemed inevitable: ‘I always said that they were a match made in heaven!’ When saying this, there is a small pause before the word ‘match’, and the pitch of this word is slightly dropped, to show that the speaker is being ironic. This expresses a kind of warm love, the sort a father might hold for his daughter, or a mother towards her son: ‘You are the apple of my eye,’ in other words, I love you deeply – but not sexually! This is a counter phrase to a love idiom but needs to be mentioned here. The word ‘dump’ means to discard carelessly or without much feeling. When a relationship ends, there is usually sadness on both sides. However, by using a word with such a dismissive literal meaning, the speaker is really hiding their true feelings and needs a cuddle rather than a smile: ‘I’ve been dumped!’. But we haven’t got time to find out whether we’re heading off to a wedding! Fancy taking a quiz to test your Dating English? Head over to Free Dating English Quizzes we prepared for you. A Whizz Bang Guide to Onomatopoeia – What Is It and When Should You Use It?